Transport large artwork, pads, drawing boards, display materials, and more with ease and style with the Blick Studio Series Softside Portfolio. Available in black or red, this zippered portfolio is made of heavyweight nylon with reinforced corners. 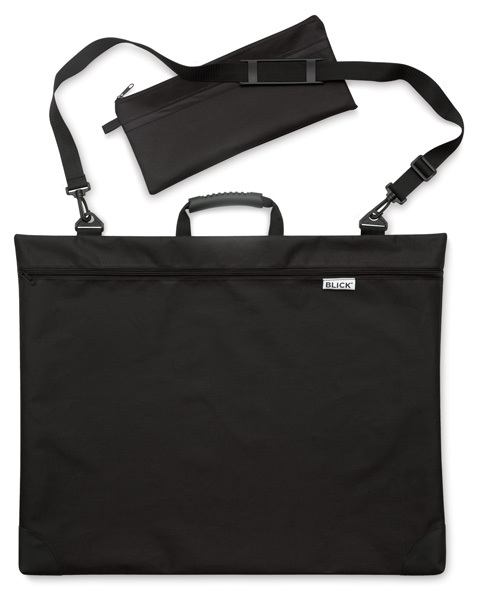 It features an ergonomic comfort-grip handle, an adjustable, removable shoulder strap, and a 6" × 13" zippered utility case.